Not only has Cape Town got some international acclaimed restaurants, but also some from Africa! What is a trip without trying out something local? This list is only 10 of many that is on offer. This restaurant is where you get cuisine from across the African continent. You can even attend a djembe drumming session before you start your meal! The staff are incredible and the shows are spectacular! You even get blessed by the Gold Goddess which promotes wealth for you. On the menu Gold serves a 14-course tasting menu. Some are the Xhosa corn bread, Kenyan iriospinach patties (made with pap and spinach), Cape Malay samoosas, Tunisian harissa-spiced chicken wings and the Cameroon butternut with tomato and coconut milk. The traditionally dressed friendly staff will explain each dish as it comes and where it’s from. Jamie Oliver even rated this place as one of the most popular braai spots in Cape Town and one of his must-visit places in Cape Town. Located in Gugulethu township, this is as local as what you are going to get! On offer is meat, drinks and local music (deep house and kwaito). On the menu You select your choice of meat from a selection of chicken, lamb, boerewors, beef and pork. This stocked in the on-site butchery. Sides such as pap, steamed bread or traditional chakalaka come with your meal. The meat (marinated in a delicious secret sauce) is braaied for you and brought to you once ready. You need to stock up your booze before you arrive. As the name suggests, this restaurant is filled with the rich aromas of Ethiopian food. Located along trade routes for hundreds of years, Ethiopia adopted the herbs and spices brought by travellers to create unique dishes. The authentic dishes are served on a beautifully woven basket-like table called a mesob, while the restaurant’s decor features Ethiopian wall art and traditional furnishings. Celebrities such as musician J Cole, Ethiopian athlete Haile Gebrselassie and actor Hakeem Kae-Kazim have all had a taste of the delicious food Addis in Cape has on offer. Most people, if asked, will say authentic Cape Malay cuisine is the South African cuisine. In the Bo-Kaap, this restaurant has incredible views of Table Mountain, Lion’s Head and the Bo-Kaap. Located in what is known as the "colorful houses". This as the area that is home to a large portion of the Cape’s Muslim community in Cape Town (and has been since the 18th century). 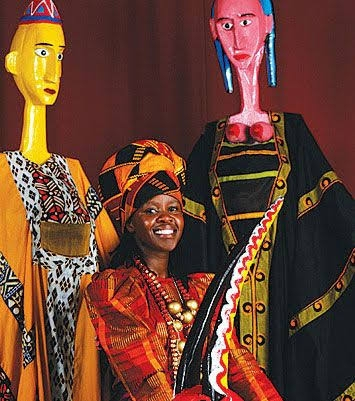 With colourful African decor, traditional food, friendly staff and cheery ambience, Woza! is a fun night out. On the menu The very affordable menu ranges from R5 to R50 for muriwo (leafy vegetables), green tripe and beef and chicken stews, to be enjoyed with sides such as samp, steamed bread, amagwinya(vetkoek) and pap. Then wash down your meal with Zimbabwean Chibuku African beer (one of the very few places that serves it in Cape Town). Located on the first floor of the Pan African Market, this Ethiopian restaurant in an old Victorian building is crammed with African artefacts and vintage collections (which are also on sale) to give it a charming “other-worldly” feel. The authenticity of the experience extends past the colourful African decor and includes eating your meal the traditional Ethiopian way – using your hands and scooping your food with your injera (traditional bread). On the menu Dishes are served with injera and prepared with authentic Ethiopian spices such as berbere and mitmita (special Ethiopian chilli). Expect to see favourites such as Key Wot (beef stew), Doro Wot (succulent chicken served with a hard-boiled egg) and vegetarian Gomen (spinach and other greens). Portions are generous, so arrive hungry. And of course, no trip to an Ethiopian restaurant is complete without enjoying a cup of delicious traditionally prepared. Established in 1992, this is a slice of Africa in Cape Town. With communal eating at the forefront of this restaurant, it’s the perfect place for a family get-together or special occasion with friends. Food is served in colourful ceramic bowls and there are seven themed rooms (from Moroccan to Ndebele) in the three-storey historic building. Enjoy African hospitality, entertainment (live music and face painting) and, of course, good food at either the Blouberg or Kirstenbosch branch.